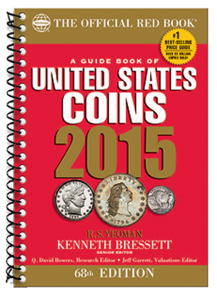 The Official 2015 Red Book of United States Coins is set to be released in mid-April. 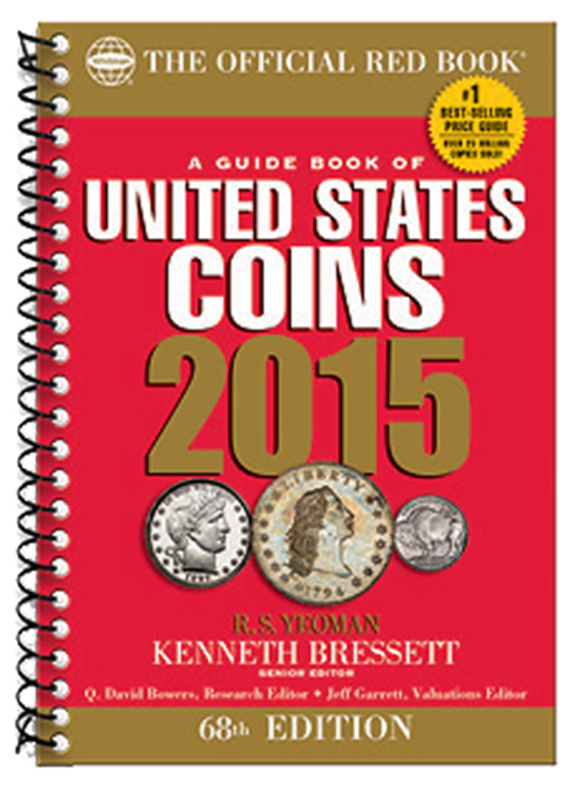 It has been the standard value guide for coin collectors of all levels as well as dealers for well over six decades. Prices for every known United States coin including error coins, gold coins and proof sets are listed. The Red Book is much more than just a coin guide, it serves as an excellent point of reference with thousands of full-color images. These detailed photos show you the minute differences of collectable coins. For the beginning collector, the Red Book is a necessity as it employs a glossary of coin terminology and a guide to grading your coins. Even the most ardent coin collector will certainly enjoy introductions to each coin type and the history of U.S. coinage. With the inclusion of articles on investing, detecting counterfeits and shipwrecks, even non-collectors will be hard-pressed in putting this book down. In addition to this generous content, the main substance of the Red Book is the coin values. Sections of the book are dedicated to each coin type and are arranged in chronological order. In addition to the grade-by-grade valuations, the Red Book offers auction records, detailed specifications and historical backgrounds. The book itself is spiral bound, so it lies flat on the surface while you study that 1982 large date Lincoln cent. It’s compact enough so you can take it to your next show for easy referencing. The Red Book of United States is a staple in the industry and should be included in all collector’s coin supplies. Now, you can currently get the 2015 Red Book Price Guide for a discounted price of $11.49 from $14.95, saving you $3.46! This deal is too good to pass up, get your Red Book now!